Our exceptional gospel singers cover a wide range of events in London and throughout the UK. We regularly perform at events in all major cities including Birmingham, Manchester, Newcastle and Glasgow. 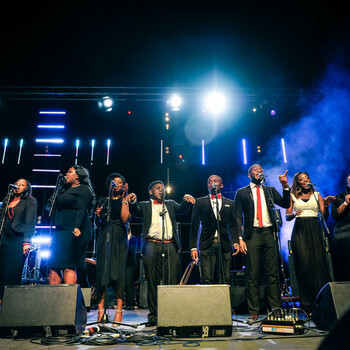 We are now recognised as one of the UK's leading gospel choirs and our singers have performed at some of the major venues across the country to audiences both large and small. We attend a range of events including birthday parties, weddings, corporate events, dinner parties, funerals or just a celebration or family event. As a gospel choir, we are knowledgeable on vocals and our singers never fail to impress our audiences. The quality of our performances is one of the main reasons the services provided by Gospel Touch Choir are in high demand. We play a mixture traditional and modern gospel music that is popular with all ages and tastes. Our bookings include a six piece gospel choir as standard, this consists of one guitar player and five gospel singers. As well as our highly talented gospel singers performing, we also specialise in conducting engaging and educational vocal gospel choir workshops for schools and corporate clients. 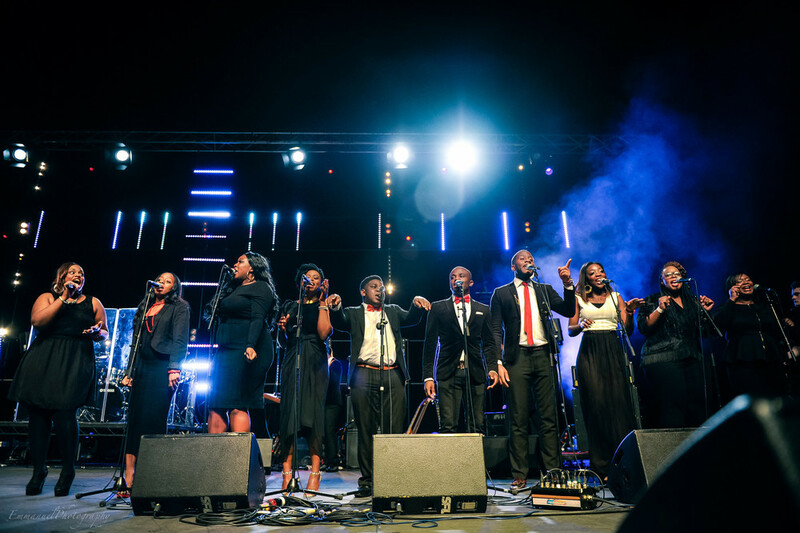 Gospel Touch Choir has become a renowned name in the UK music industry and has appeared at a number of star studded events. We've recently shared the stage with Emeli Sande, performed with Angie Lemar, featured on Jamie Oliver's show on Channel 4, performed at the Belvedere Vodka Charity Concert and performed on BBC 1 The One Show. Our gospel singers have also worked with many recording artists, this includes: Angie Stone, Chaka Khan, Craig David, Dionne Warwick, George Michael, Israel Houghton, Mary J Blige, Mica Paris, Muse, Natalie Cole, Paloma Faith, Sting, and Take That. The Awards winning Gospel Touch Choir has graced the airways of Heart FM, BBC1, ITV and Channel 4. Our artists have also performed at St James' Palace for Prince Charles and Camilla, Duchess of Cornwall, at the Olympics Closing Ceremony, at the BAFTAs with Paloma Faith, on Songs of Praise at the BBC, in the Cadogan Hall, Earl's Court, the Excel Centre, the Ghurkin, the Harlow Stadium, the O2 Arena, the Queen Elizabeth Olympic Park, Royal Albert Hall and Wembley Arena. Their ability is not just restricted to England; our members have sung across the globe at events in China, Israel, Italy, Mexico, Netherlands, Portugal, Spain, United States and Wales. Gospel Touch is also recognised by their Gospel industry peers. We have been recognized by MOBO Awards, Urban Music Awards, BEFFTA Awards and Gospel Music Award.